Each month I join Kurt Achin, host of Koreascape on Seoul’s English-language radio station TBS eFM, for an exploration of one of Seoul’s urban spaces. 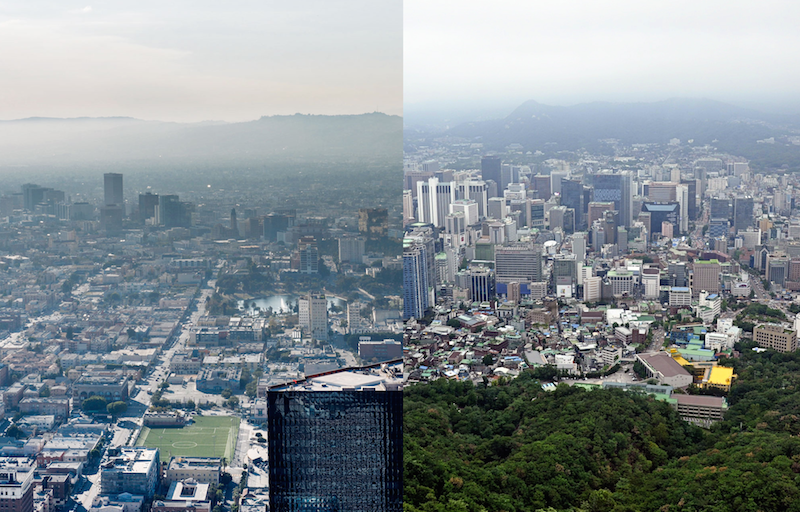 This month, having just been to Los Angeles for the first time in the two years since I moved from there to Seoul, I ask what these ever-changing cities can learn from one another. How much does Los Angeles remain a metropolis that “makes nonsense of history and breaks all the rules,” in the words of architectural historian Reyner Banham, and to what extent has it moved past what Los Angeles Times architectural critic Christopher Hawthorne calls the “building blocks” of its postwar self, “the private car, the freeway, the single-family house, and the lawn”? Does Seoul’s constant construction of more and denser — but blander — forms of housing offer a solution to Los Angeles’ worsening cost-of-living (and, increasingly, homelessness) crisis? Can both cities meet their separate challenges of finding a built form and aesthetic commensurate with their formidable status in the 21st century? Stay tuned for further explorations of Seoul’s architecture, infrastructure, and other parts of the built environment. You can hear our previous segments here. This was written by Colin Marshall. Posted on Monday, March 26, 2018, at 5:55 pm. Filed under Koreascape, Los Angeles, radio, Seoul. Bookmark the permalink. Follow comments here with the RSS feed. Comments are closed, but you can leave a trackback.